I was inspired by Emily Schuman's (from Cupcakes and Cashmere) recent cupcake post to get in the kitchen and whip some up myself. 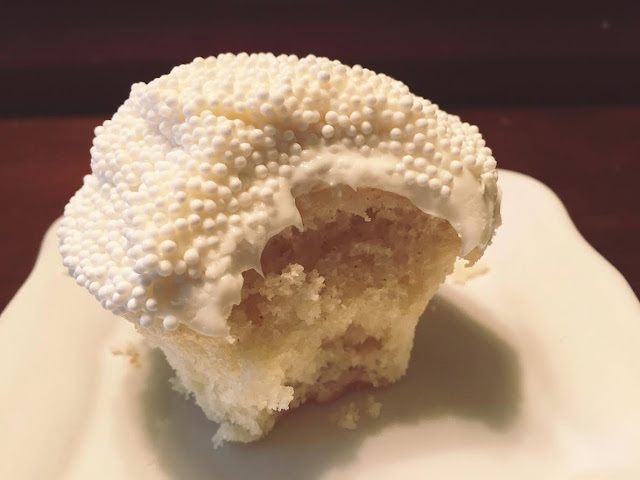 (Or, a pregnant lady saw a cupcake on Facebook, then craved one herself.) I'm typically a chocolate on chocolate on chocolate person, but I wanted to experiment with different flavors. I ended up going with a simple recipe -- the one on the back of Bob's Red Mill Vanilla Cake Mix. And they turned out oh-so-delicious.